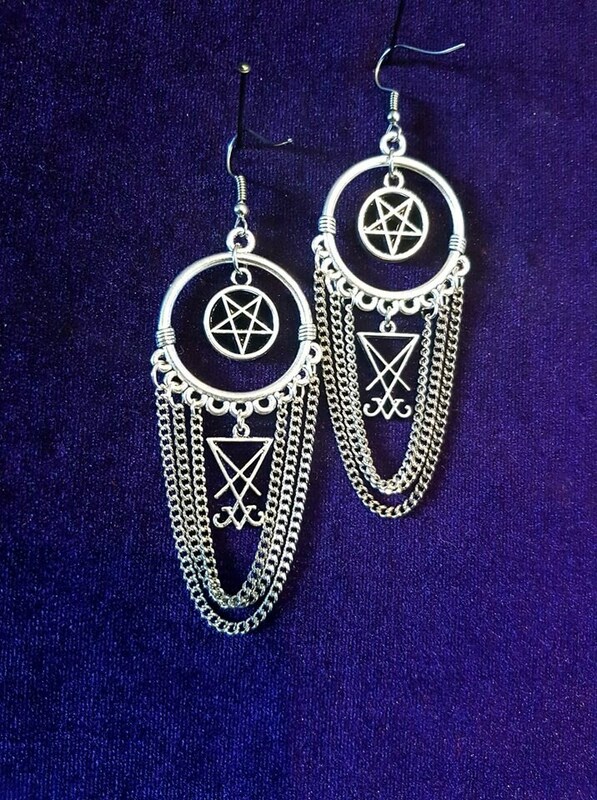 Classy Elegant Left hand path earrings. 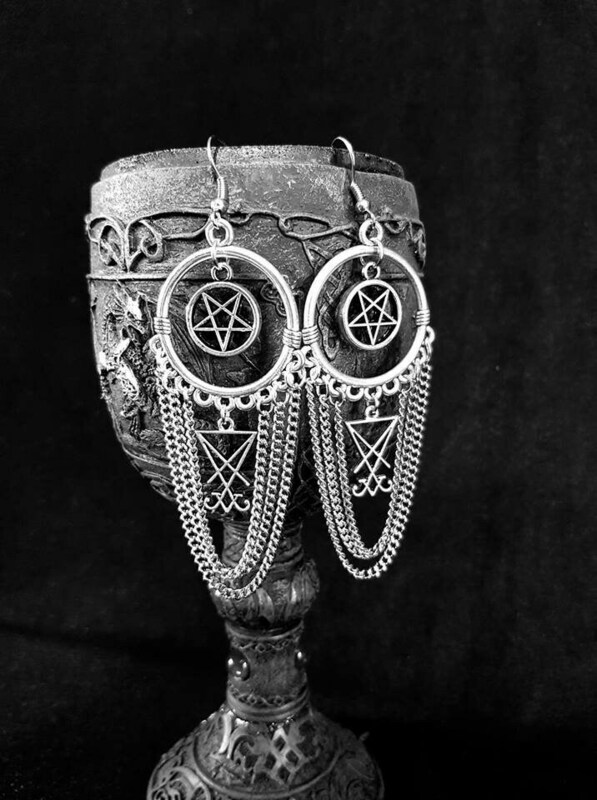 - Sigil of Lucifer hanging between the chains. 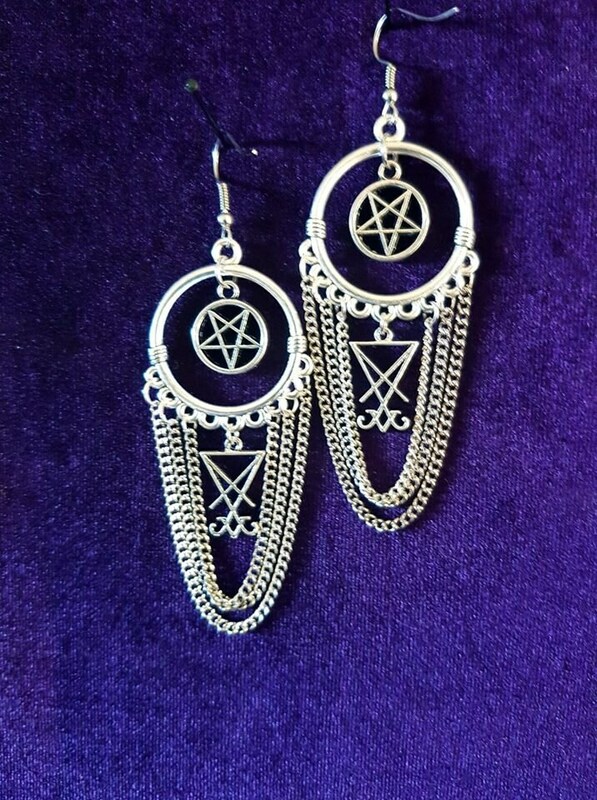 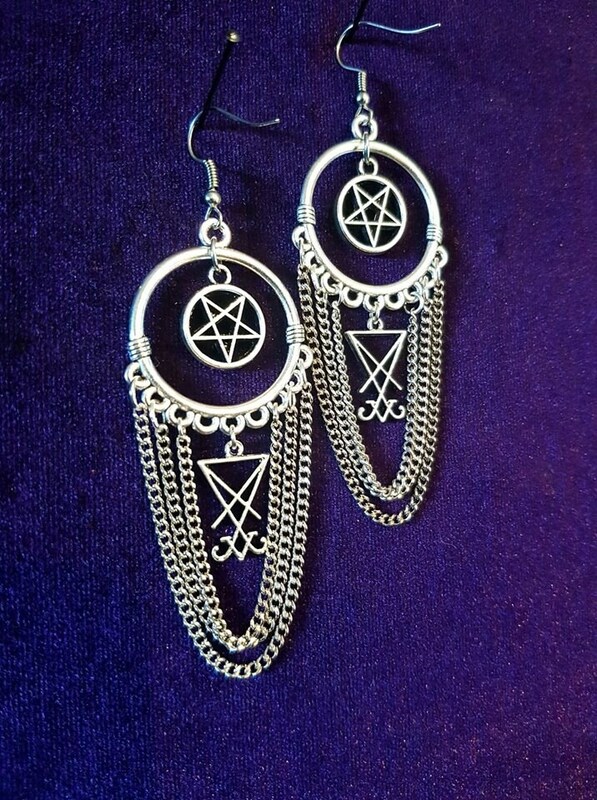 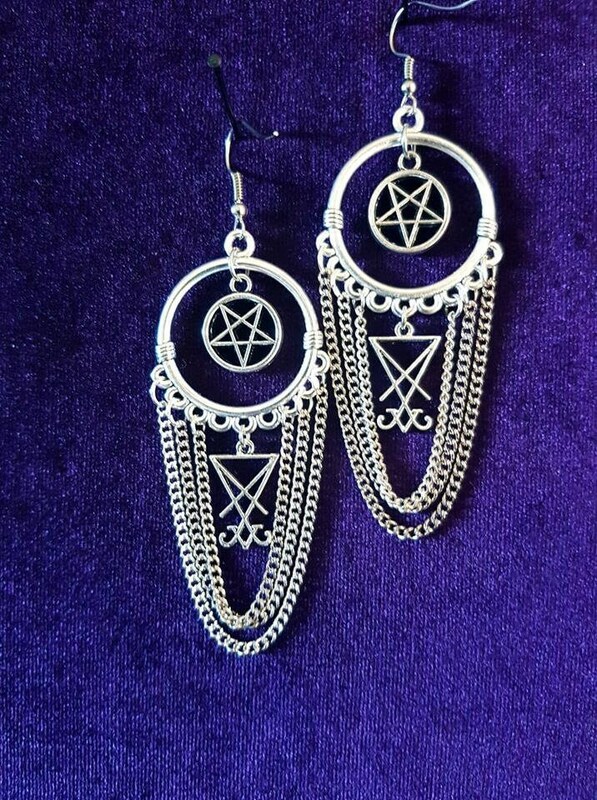 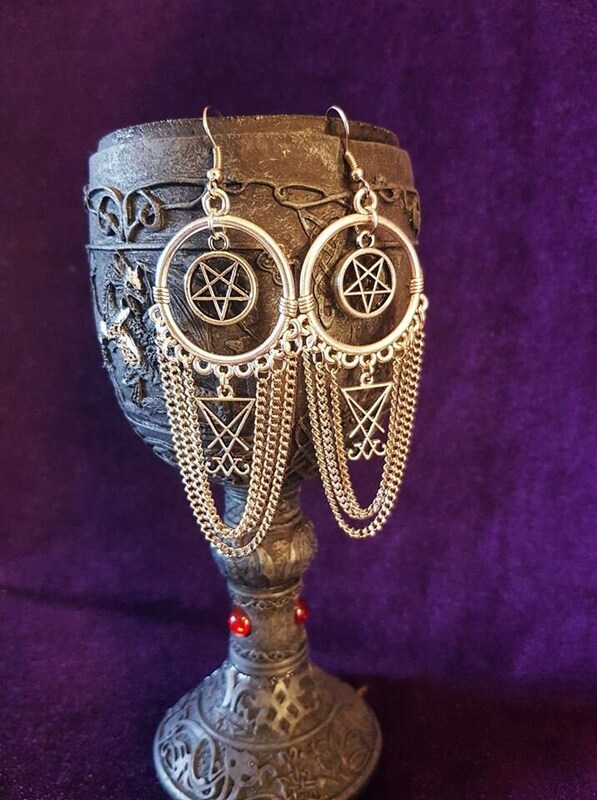 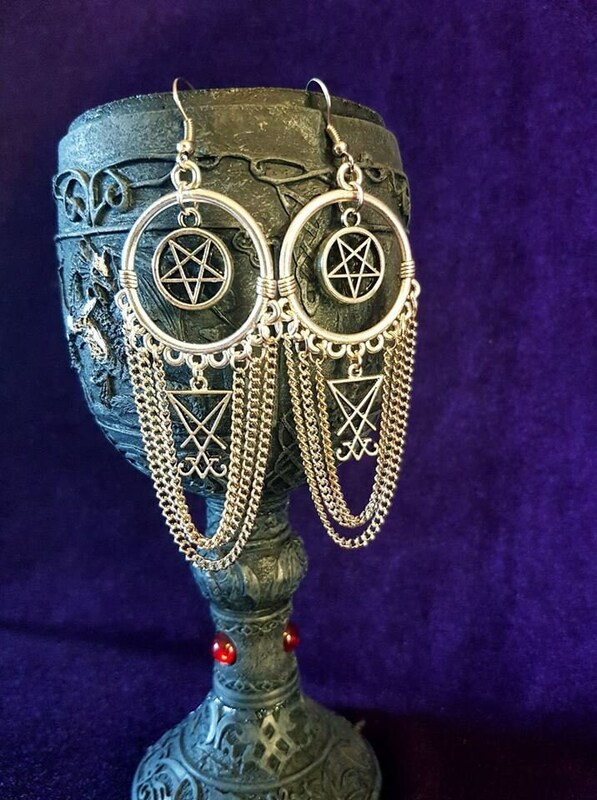 - Inverted Pentagram in the hoop.